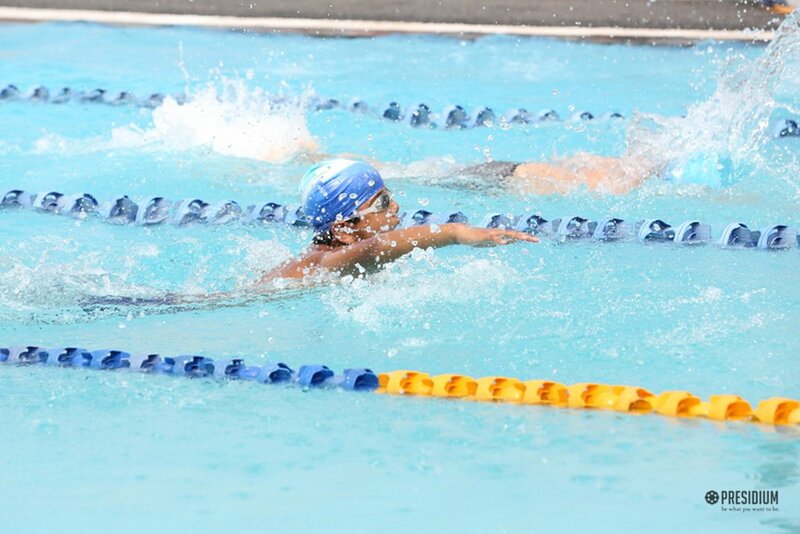 Every race is an opportunity to measure yourself against your own potential! 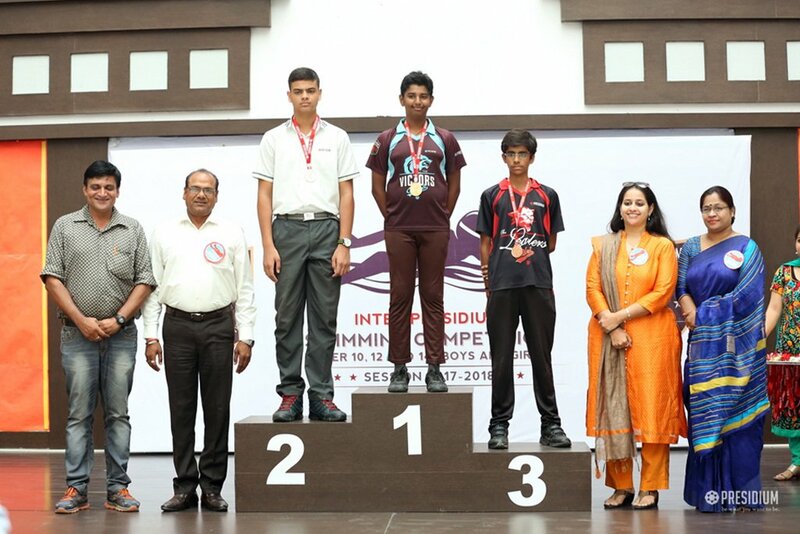 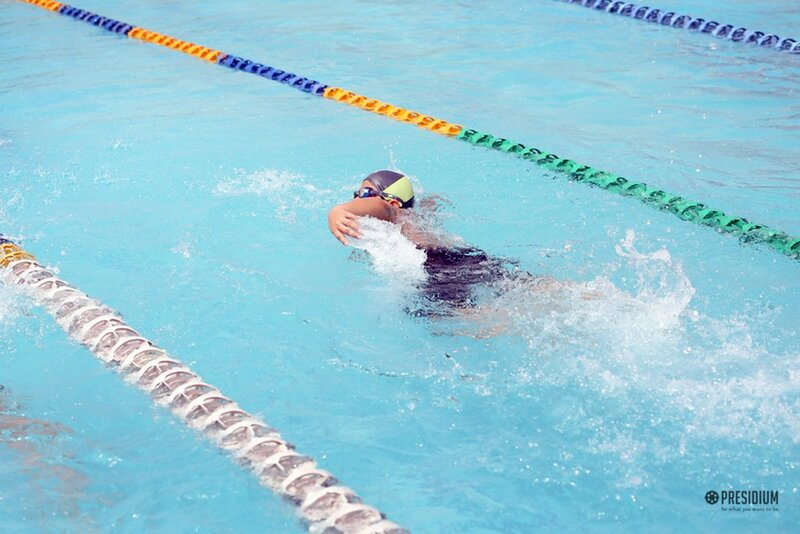 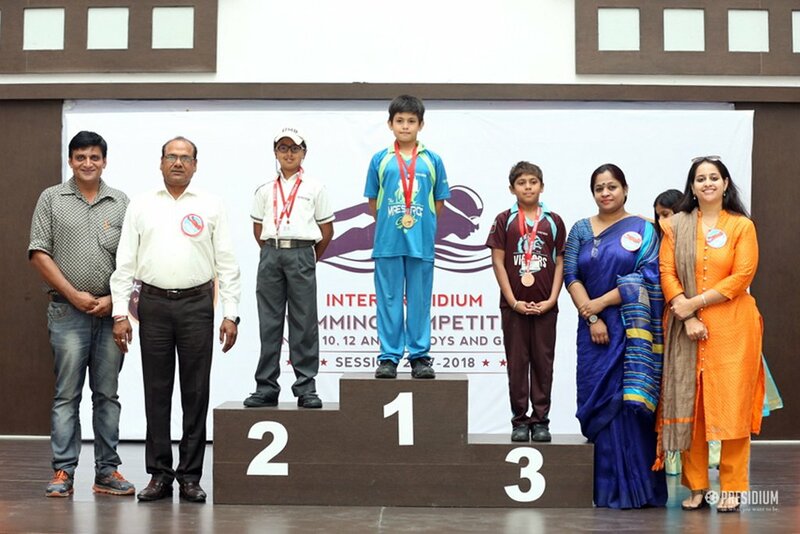 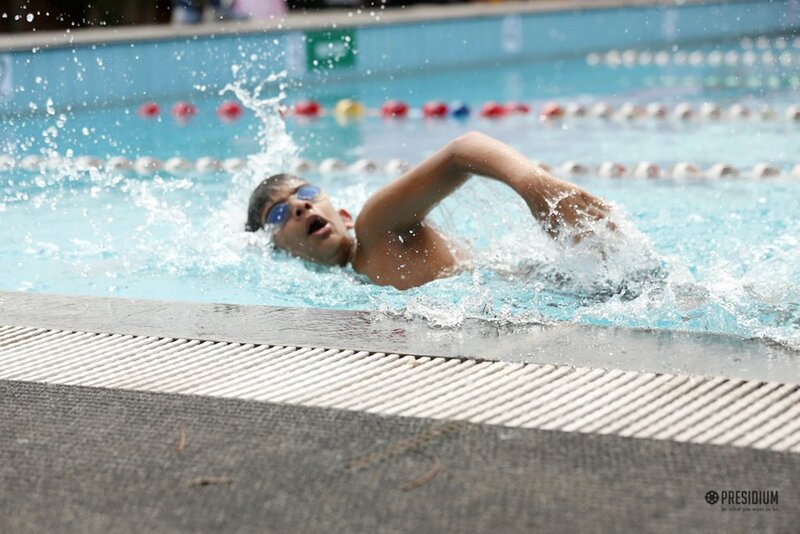 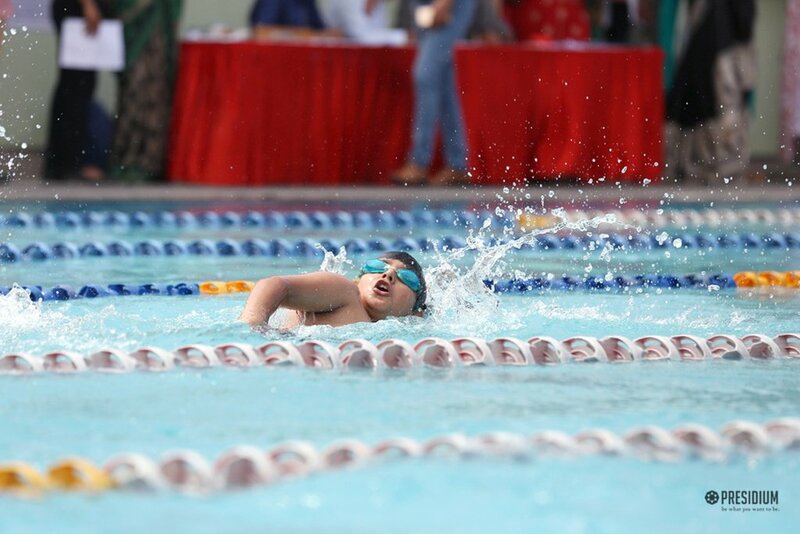 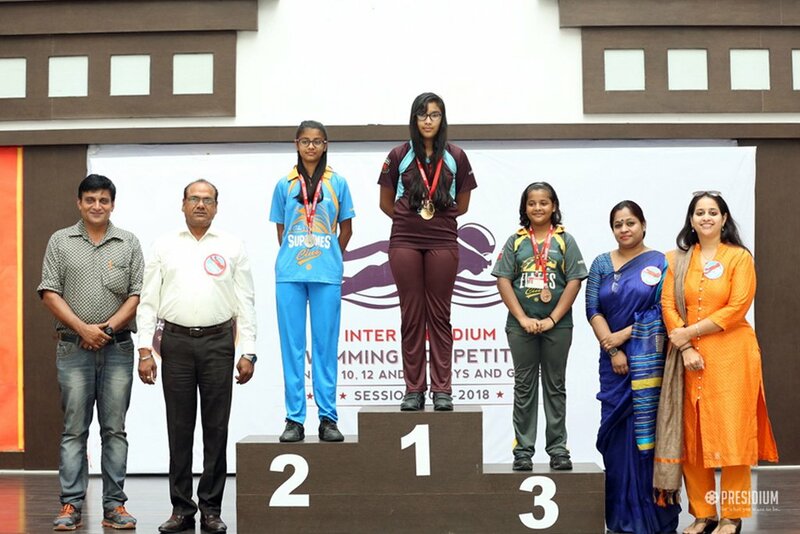 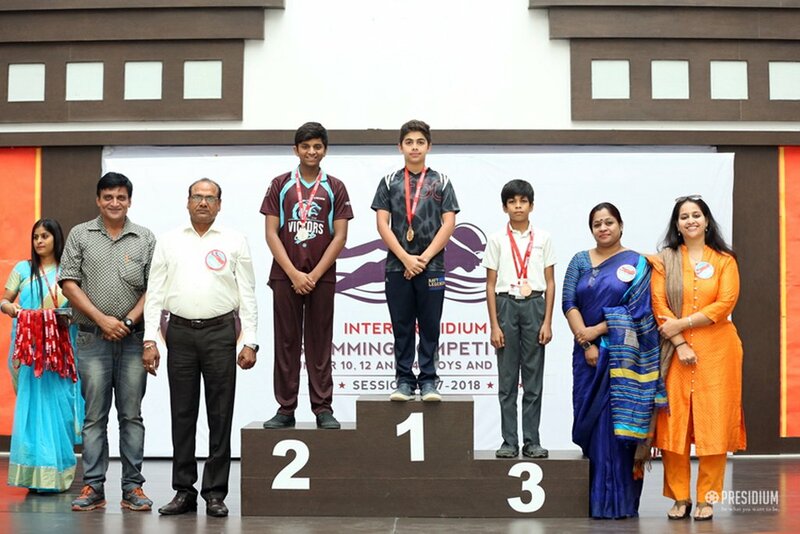 The astounding journey of Presidium witnessed another milestone when to promote swimming as a competitive sport, an Inter-Presidium Swimming Championship was recently organized at Presidium, Raj Nagar. 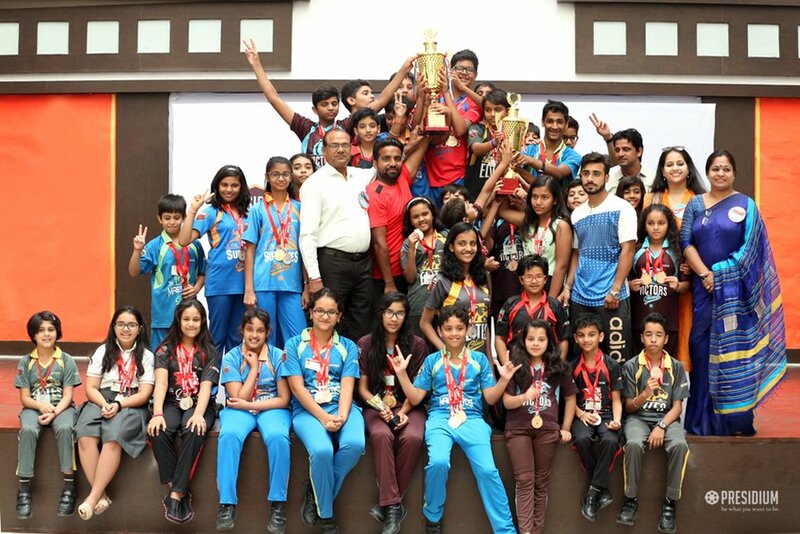 A huge success, this grand championship witnessed humongous participation of 157 students from 17 Presidium branches. 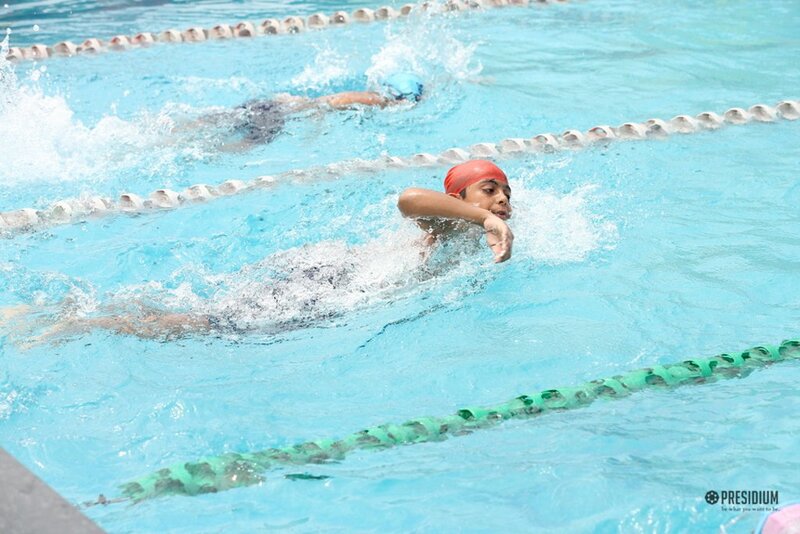 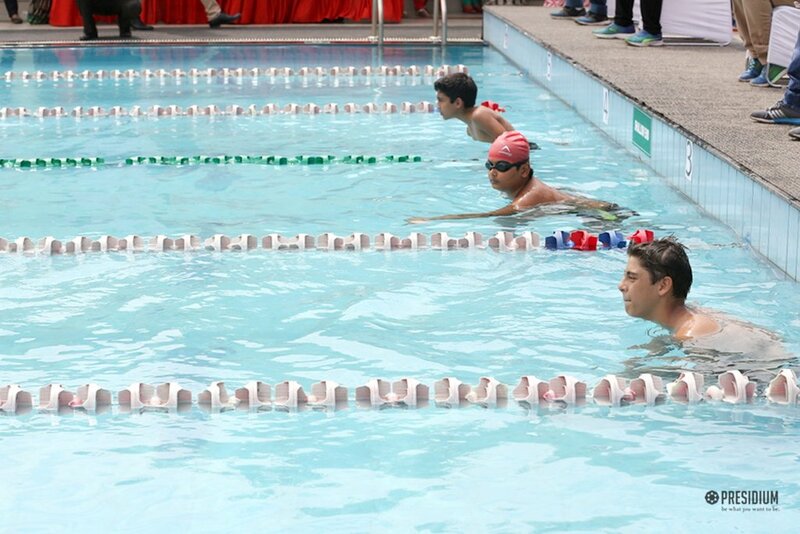 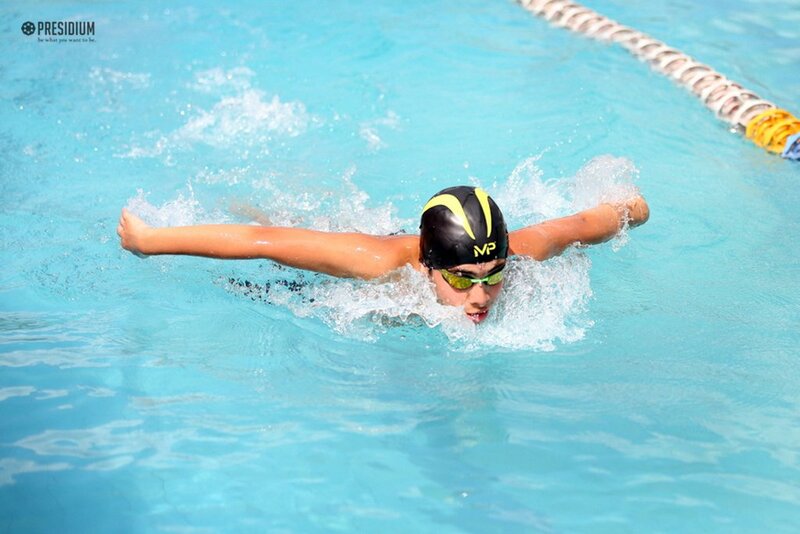 The talented participants came together to display their magnificent swimming skills in varied styles spread across 42 different events. 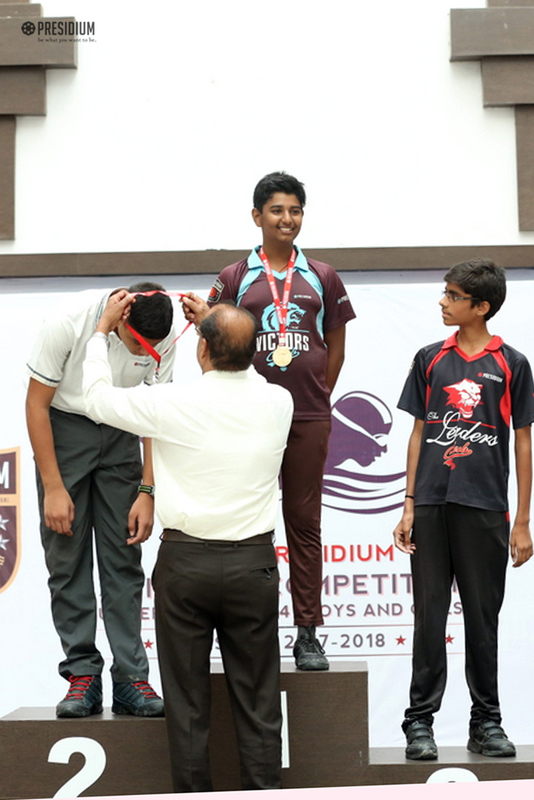 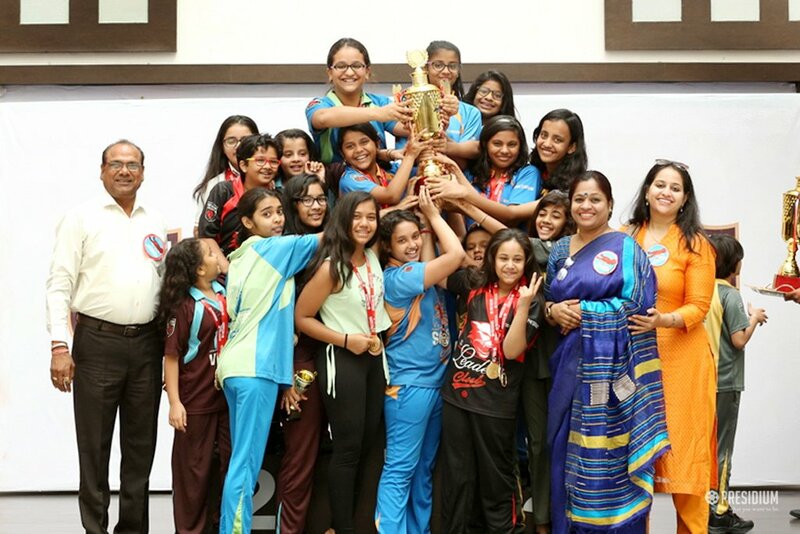 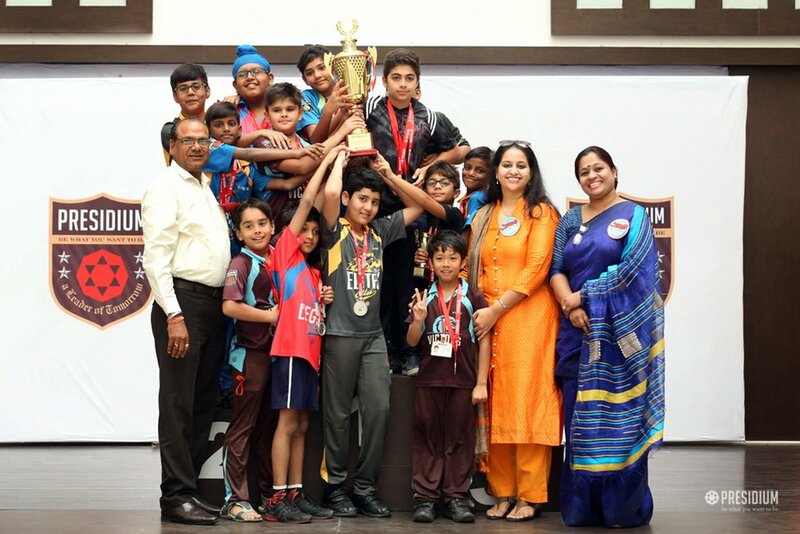 The competition was held across 3 age categories and the winners from each category were awarded with a certificate of recognition and a trophy. 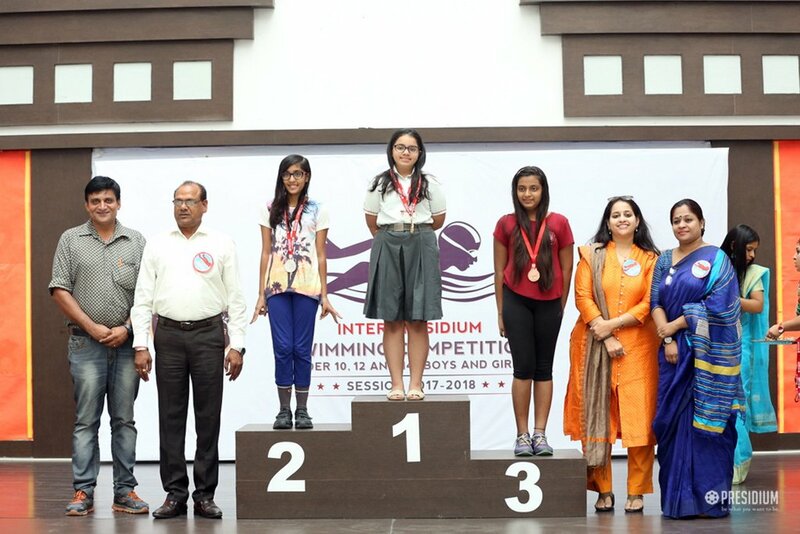 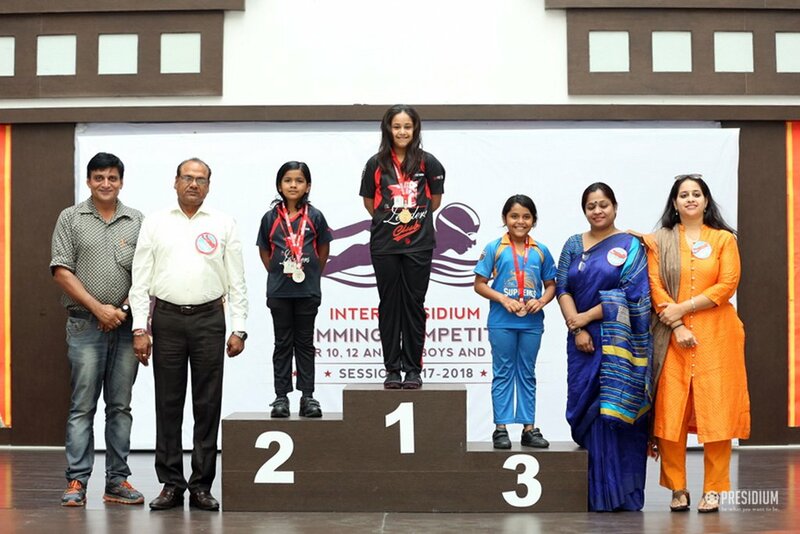 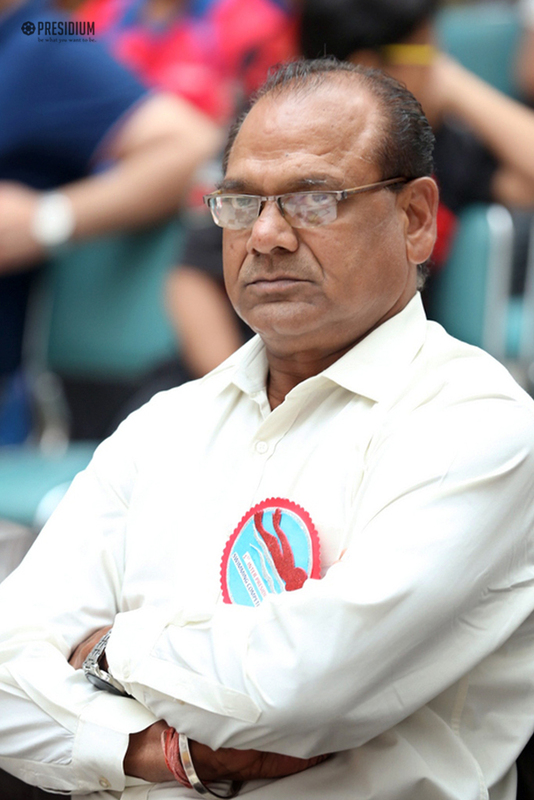 Amid the respected School Heads, the championship was also graced by distinguished chief guests, Mr. Partha Pratin Majumdaar (Head Coach - NSA), Mr. Rajkumar (Vice President - Swimming Federation of India) and guest of honour, Mr. D. S Chikkara (Chief Coach of Swimming - SAI). 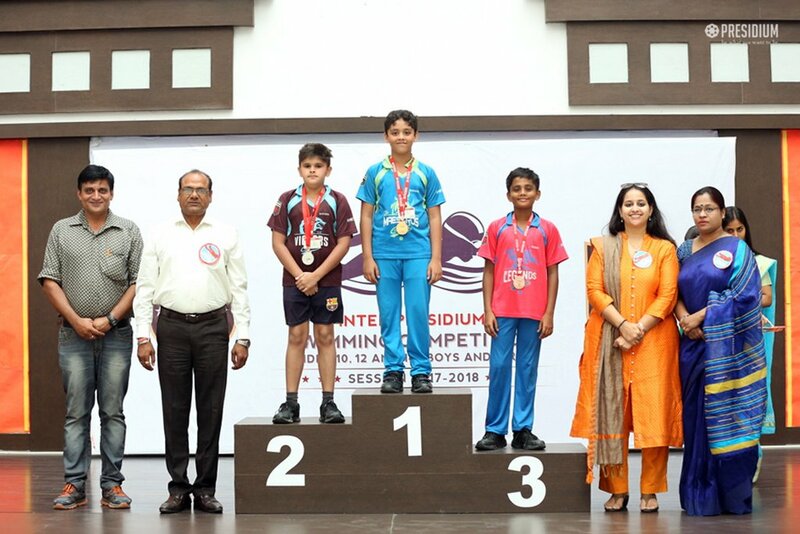 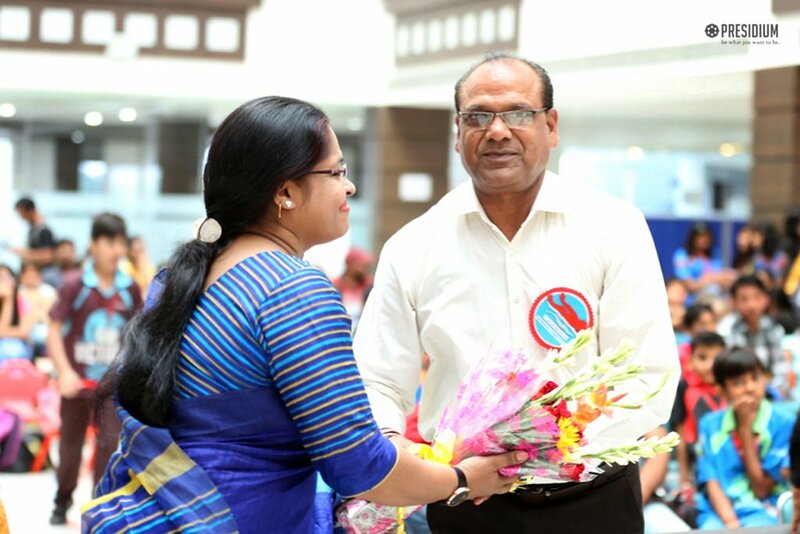 Mrs. Reena Charles, Head of Presidium Raj Nagar, congratulated and praised all the students who participated in the competition with kind words of appreciation.